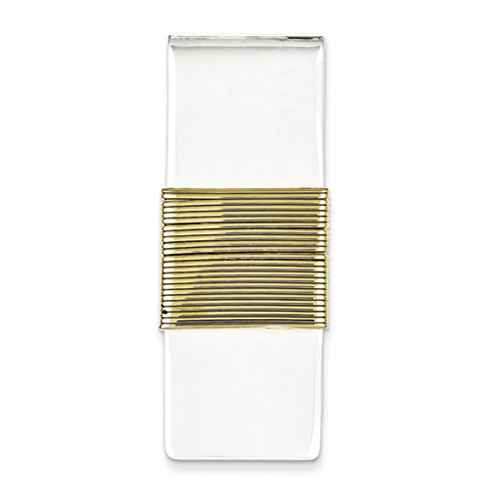 Sterling silver money clip has a vermeil band. Measures 1 15/16 inches tall by 13/16 inches wide. Weight: 17.37 grams.